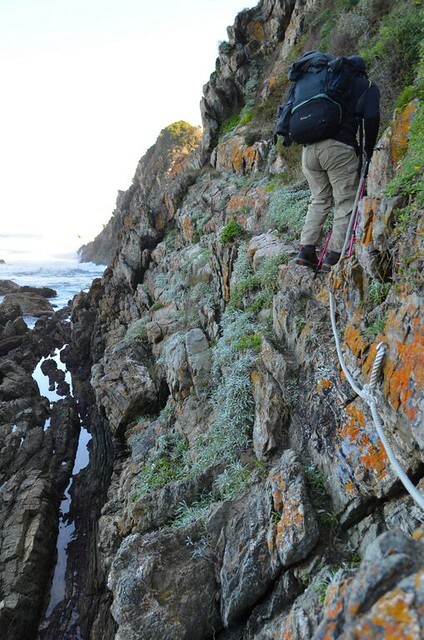 Considering hiking the Otter Trail on the Tsitsikamma Section of the Garden Route National Park? Don’t consider it. Book your trip now on SANPARK’s web page! I’ve hiked the trail 4 times during winter (2012-2015) and I’m already booked for my 5th hike in May 2016. In prior years I felt that I could never do justice to blogging about this extraordinary experience. Herewith my humble attempt to the ultimate guide. To read about each day in detail click here. 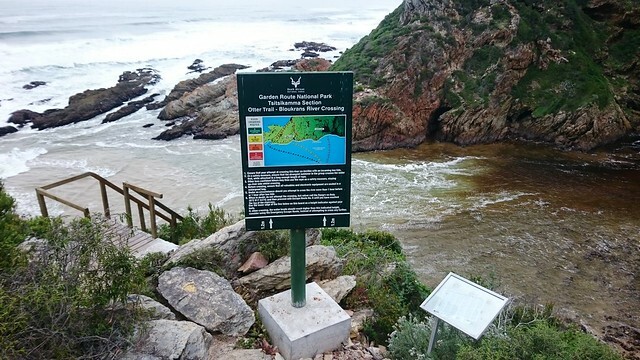 The Otter trail is a 42k.5m trail that is hiked over 5 days / 4 nights from Storms River in the Eastern Cape to Nature’s Valley in the Western Cape, South Africa. The Bloukrans river is a natural border that separates both provinces. 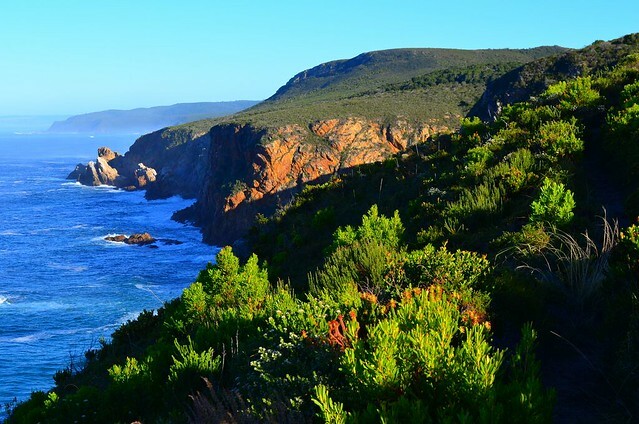 Officially opened and inaugurated in 1968, the Otter Trail is the oldest hiking trail in South Africa. It is named after the elusive otter which some hikers may be lucky to glimpse. 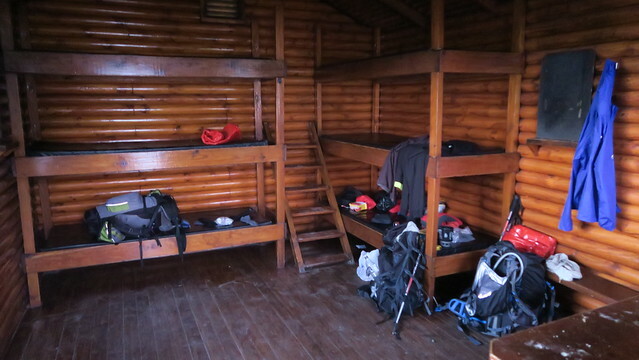 There are 2 huts at each campsite that accommodate a maximum of 6 people each on bunk beds. This means that a maximum of 12 people are allowed onto the trail each day. The minimum recommended age is 12 years (with a parent / guardian) and maximum age is 65 (unless a doctor’s note is supplied). People generally form groups of 6 or 12 people and occupy one or both huts. However, I’ve had 2 friends who booked with a number of smaller groups who they met for the first time on the trail. They said that there was even a German guy in their group who had joined alone. The SANPARKS booking site shows you the number of free spots / beds available per departing day. If you only book for 11 people in your group, there is a chance that some stranger that you don’t know could book that final bed. Be welcoming to that person – nobody should hike the trail alone, especially at the river crossings. If you can, try to include a doctor or medic in your group. There’s no airport at the start of the trail in Storms River. The most popular way is to fly into the closest airport and hire a car or shuttle to get you to Storms River. I’ve flown into Port Elizabeth Airport in the past, hired a car and driven to Storms River. 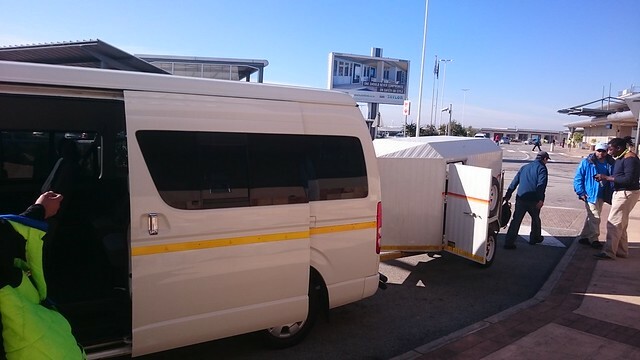 However we prefer flying to George Airport (on Kulula or SAA), and amongst a group of 12 of us we book a shuttle transfer and rent 1 or 2 cars amongst the entire group. We’ve always used Gecko Tours and Transfers in George to transfer us each way. It helps to have 1 car parked at the start of the trail in Storms River and the other at the end of the trail in Natures Valley. If we’re also booking a shuttle why hire a car? We like to keep a change of clothes in the car to change into after hiking the trail, before boarding our flights home (for our benefit, and the benefit of other passengers around us. Your hiking clothes will be filthy after 5 days). Unforeseen circumstances – We always have team members exiting the hike earlier than expected for any number of reasons, including injury and bad weather / tides. I exited on Day 4 this year after the Bloukrans river was unpassable. 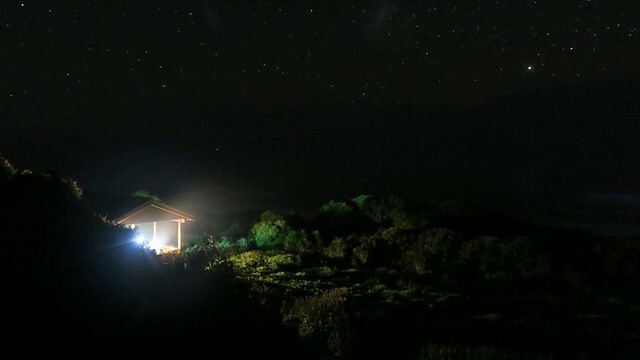 I could have re-joined at camp 4 (by ranger drop-off) but this year I felt like chilling in Plettenberg Bay for a night before heading back home. Having a car gives you the freedom to move around if you’re stuck. Gecko Tours and Transfers will allow you to leave a change of clothes in a sealed and labelled pack on their shuttle. They’ll bring it to you just before they collect you for your airport drop-off. By leaving our gear in the cars, we have access to it sooner (with enough time to shower at the end of the trail). If you live in Cape Town, you may consider driving to Storms River as some of our friends have done. We generally arrive at Storms River by 2pm on the day that we start hiking and leave for our home cities from Natures Valley on the final day by 1pm in order to catch our flights home from George. You should not start the first day’s hike after 3pm (in winter) as it means that you’ll only reach the campsite after sunset. The Otter Trail isn’t like a walk in your local Botanical Gardens. It helps to train before you embark as this will make your hike more enjoyable. Being active at gym, running, cycling and swimming helps. What you need to ensure is that you include inclines such as stairs into your training regimen. The Otter Trail is full of ascending and descending staircases so it helps to practice walking on multiple flights of staircases at least 6 weeks before your hike. In Johannesburg we trained on the famous Westcliff staircases on many occasions. Other useful activities are the Athletic Step aerobics class offered in local gyms, lunges, calf stretching and squatting. The general guideline is for your backpack to weigh no more that 20% of your body weight. In winter, our backpacks weigh between 10 and 14 kg in general (with water). 1 pair normal socks – to sleep in at night if it gets cold. Hiking boots – (Consider getting one size larger than your everyday shoes. Make sure you wear in your hiking boots a bit before hiking the Otter Trail). Basic headlamp (at least 3 LED. The Energizer headlamp is good. Mr Price Sport’s Trail headlamp is okay). Dri-fit shirts (no cotton! – it’s heavy when wet and never dries in Winter). Minimum 2 (one for the day, one to sleep in at camp. These shirts are light so I don’t mind carrying 4). Mug – you can get one of those camping mugs from Outdoor Warehouse or Pick and Pay. Extra Large sized zip locks – helps to put each days snacks in a bag of its own. Bin bag – I always line the inside of my backpack with a bin bag. Everything goes into this. If it rains, the contents of my backpack won’t get wet. You can also carry a rain cover for your backpack, but I prefer the simple bin bag method. While Trekking: I also like carrying an apple a day, M&M’s, Lunch Bars, Snickers and Trail Mix (I like the On The Go brand which is available at Clicks and various supermarkets. I don’t like the Safari brand). Supper – Depending on the season, you may be able to braai food for 2 or 3 nights. We have one team member who organises the communal food for the entire group. We had a friend whose backpack weighed 21kg. Within it he brought Tupperware’s with pre-made steak sandwiches and pre-made chicken and mayo sandwiches. There is a scale to weigh your backpack in the Otter Hut at Storms River. He also had a half kilo of cashew nuts, a half kilo of sweets, half almonds, 1 loaf of rye bread, a large bottle of Tabasco, a large sachet of Nando’s Perinaise, a large packet of Doritos, a small tub of peanut butter, a hot water bottle to sleep with in winter, 4 perfumes and a heavy-duty thick winter jacket. This was in addition to the items in the personal gear and food list above. He managed to carry everything and all the food did get eaten, but it’s not advised to pack like this. Solar power chargers and pocket shower sets haven’t proved to be useful on our trips. 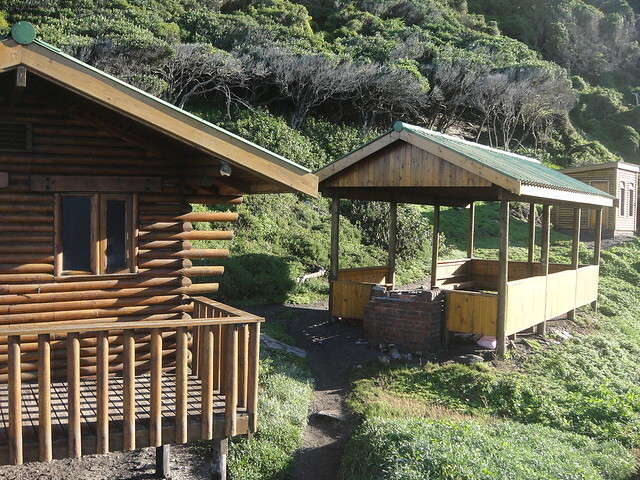 There are 4 overnight campsites with 2 huts that have 6 bunk beds each, with comfortable mattresses. Cell phone reception is not available throughout most of the trail. You may get reception on some of the plateaus after a steep climb on each day. We also had reception on Day 3, walking alongside the ocean just after departing the campsite, and at the Night 4 campsite. You can choose whether you want to hike the trail in the warmer or the colder months. You can spend more time swimming in the beach and rivers. There’s more daylight available so you can enjoy more time on the trail before reaching the campsites. The water is chilly. You can dip into it but long swims aren’t always enjoyable. You hardly see any bugs. No mosquitoes or snakes. There is always a rush to be at camp by sunset (which is earlier) to get the fire started, shower and dress warm before the temperature drops. No need for sunblock or sunglasses. If you’re concerned about the tides, you can check this page for the tide charts (it’s for Plettenberg Bay which is close to Tsitsikamma). 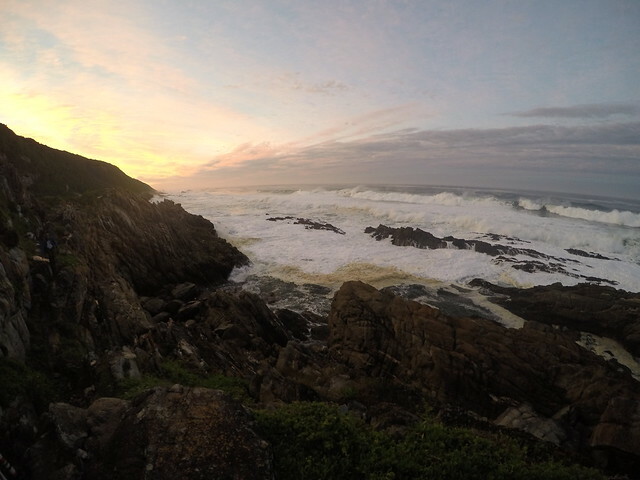 Manipulate the Month and Date on this url http://www.kwathabeng.co.za/tides/Plettenberg-Bay-tides-Dec-2015.html#gsc.tab=0 for the month that you are planning to visit. Pay special attention to which calendar days will be your 3rd day (Lottering River crossing) and 4th day (Bloukrans river crossing) and check the low tide times. You’ll need 3.5 to 6 hours to reach the Lottering river and 4 to 5.5 hours to reach Bloukrans from the campsite. Also see what phase the moon will be in when you visit. 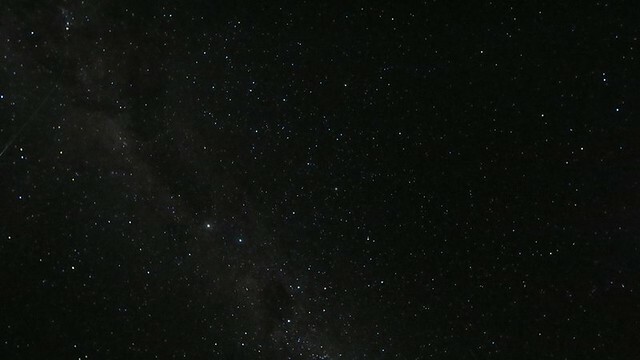 We hiked during a new moon phase this year and had a brilliant night sky that was full of stars to stare at in awe each night. Stick to the trail and don’t take any shortcuts. The rangers always tell us that this is the main reason people get injured. I was quite foolish by trying to take a shortcut onto Elandsbos beach this year. At some point I slipped on the rocks and fell backwards onto my backpack. My elbow hit a rock and I had a small bruise with bleeding. I also lost my cap to the Indian Ocean, and my hiking boots got soaked. Thankfully I line the inside of my backpack with a bin bag so none of the contents got wet. When packing your backpack, the general guideline is to have your sleeping bag at the bottom, heavy items in the middle and light items at the top. A friend packed heavy items on the top and fell forward onto his forehead when scrambling on the rocks on Day 1. Don’t hesitate to take the Emergency Exit. You don’t have to prove anything to yourself or others whilst hiking on the trail. On our 2015 hike only 3 members of our group managed to cross the Bloukrans river. We were there 20 minutes after low tide. One of our group members had to let go of his bag as he was swept by the tide about 20 meters upstream whilst attempting to cross. We managed to retrieve the soaked bag later, and after placing call to the rangers, we managed to get the bag up to the emergency exit with the rest of our team. I’ve hiked the trail 4 times and we’ve always had to call the rangers for early exits for some reason. Be careful, know your limits and don’t take unnecessary risks on the trail. Always make sure you have the emergency number for the rangers and have a cell phone with some remaining battery life to make the call (where cell reception is available) in case of emergency. Keep a basic first aid kid easily accessible (e.g. on the outer pocket of your backpack). After a river crossing don’t walk too far with your wet aqua shoes. 2 Of my friends ended up with purple toe nails and blisters after walking about 3 km’s on day 4 without their proper hiking shoes. And finally, hike in small groups. Never let the last person at the back of the pack hike alone. Check out this SANPARKS web page for the latest tariffs, to check availability and make a reservation for the Otter Trail hike. 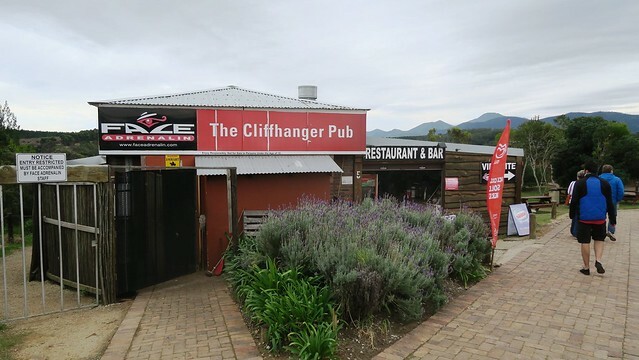 If you’re spending a few days near Tsitsikamma before or after hiking the Otter Trail here is a list of recommended places, activities and restaurants. My friends and I prefer to spend a night in Plettenberg Bay after the hike to recuperate and “dine like kings” before returning home. Go on a canyoning adventure near Plettenberg Bay with Africanyon River Adventures. This activity is at the top of my list before my next Otter Trail hike. Glide across the Tsitsikamma forest from above with Tsitsikamma Canopy Tour. 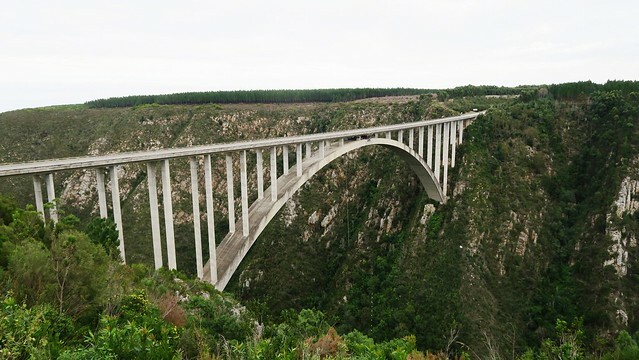 You can jump off Bloukrans bridge, the world’s highest commercial bungy jumping bridge with Face Adrenalin. 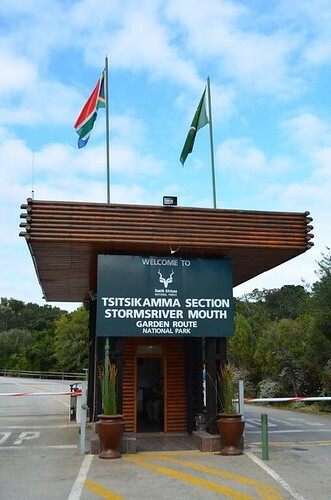 If you’ve arrived a few days before the Otter trail hike, plan to spend a night at Storms River Rest Camp which has comfortable accommodation, a cool suspension bridge, a restaurant and other activities. This is the starting point of the Otter Trail. 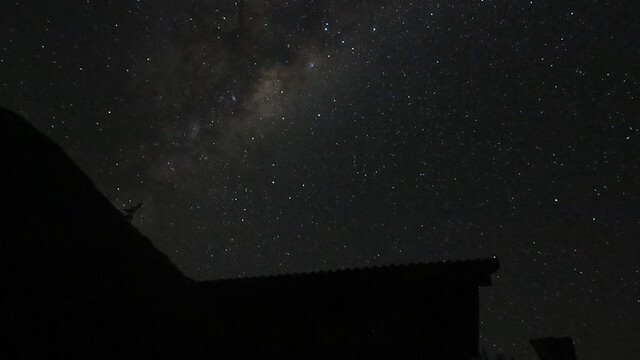 If you’ve just finished the trail you can recuperate in Natures Valley Rest Camp. Map location here. Driftwood (on AirBnB) – it’s a beautiful home that accommodates 6 to 8 people. Tsogo Sun Beacon Island Resort – it’s a little pricey, but this is where you can get pampered..
Bayview Hotel – This is a great value hotel with comfortable rooms. There’s no breakfast served at the hotel but there are many restaurants outside to choose from. The staff were extremely friendly. If you need a massage after the Otter Trail try to wait until the day after the hike and then visit Jiwu Spa and Salon in Plettenberg Bay. You will probably be exhausted on the day you finish the hike so give your body a chance to recover on its own before visiting this spa. Cornuti Al Mare Pizzeria – delicious pizza and pasta. Go here for lunch. The Fat Fish – Situated opposite Beacon Island Resort in Plettenberg Bay this restaurant serves sushi, a variety of surf and turf and delicious desserts. This is a great place to eat dinner after hiking on the Otter Trail. Make a reservation in advance as they’re always busy. To learn more about what you can expect each day on the 5 day Otter Trail Hike check out this comprehensive article. I hope this guide helps. If you have any questions or recommendations, please leave a comment below. What a wonderful article on what to expect and cater for my first Otter trail. Hi There, my friend and I are just starting our preparation for next year, and I would like to know if you are perhaps doing this next year? We would like to join an experienced group for our first hike. Hi Hayley. Our group for May 2016 is full with a long waiting list. Most of the prep happens before the hike (climb lots of stairs). The rangers will inform you of your river crossing times – make sure you reach at low tide on day 3 and day 4, and stick onto the trail (it’s well marked). You’ll be fine. There’s 12 spots per group and someone else will definitely be traveling with you. You can also ask on the Footprint or Johannesburg Hiking Club group on FB if anyone else is keen to join on your dates. Also remember that it is totally okay to call the rangers and step out of the trail if there’s any difficulties. I want to go and do this trail July this year. Do you think My 12 year old son will be able to do this? A friend went with his 9 year old daughter. You just have to keep an eye out for him – no walking off the trail, and carry rope for the river crossing. If there are any issues, remember that there are plenty of emergency exits – you can get off the trail and rejoin at the next hut with ranger assistance if necessary. Awesome to have all this info. Really useful and inspiring. I can’t wait – my youngest child is 12 next year so we are almost there. Thank you for all the help in planning. My Mu really wants to come too -she will be 76. Currently doing the Green Mountain trail with her. I wonder if this would be too much?? For a 12 year old it should be fine. If there are any difficulties, you can exit the trail at multiple points each day. Yes. The rangers are extremely helpful and accommodating. On the first day at the registration for the hike you will receive the emergency contact number for the ranger. Do not hesitate to use it. We have previously had team members joining us on the 2nd day of the trail, or people exiting on the 4th. At the emergency exits you will ave cellphone reception to call the rangers – just keep a of phone charged to make that call. Hi There, can somebody please let me know what is the ideal size of Backpack one can use for The Otter Trail ?